Cooling fan to motherboard connector with RPM sensor. 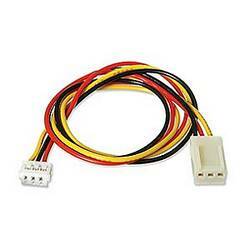 This is designed to replace lost or broken fan power connectors. It will not convert standard power connectors to motherboard connectors.